Roller shutter doors are an age-old means of managing an opening. HIGH SPEED versions of ROLLER SHUTTER DOORS are becoming increasingly popular. ENERCO offers a range of competitively priced HIGH SPEED options that can be used in a diverse range of settings where a simple automated door is required. 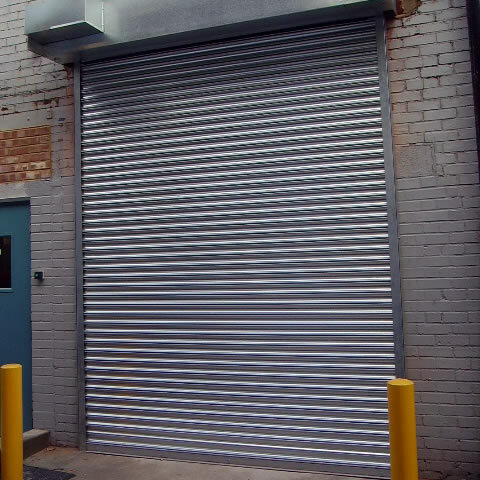 Like all roller shutter doors, the HIGH SPEED, FAST ROLLER DOORs consist of many individual steel or aluminium horizontal slats and are operated by rolling the slats around a barrel, directly up or down with the help of either a spring or electric motor, or both. A HIGH SPEED ROLLER SHUTTER DOOR is particularly suited to busy doorways where temperature control and security is of vital importance. ENERCO supplies a wide range of roller shutter doors to the industrial sector. We will work with you closely to learn about and meet your operational requirements. We’ll then advise you on the best type of door to suit your environment, taking into account your industry, building structure and use, size, weather influences and storage and temperature needs. All of these factors will determine what insulation; materials and finish options will work best for your intended use.